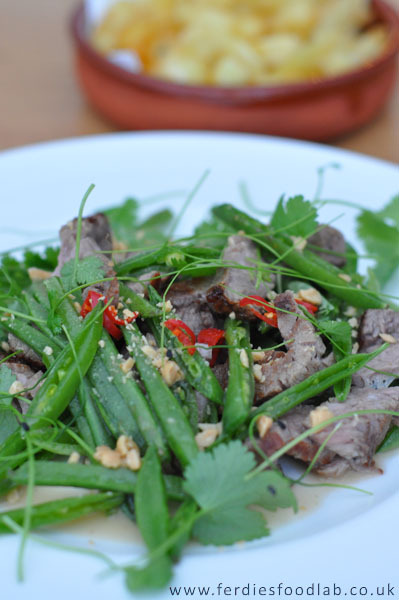 This recipe is inspired by my travels in Cambodia. I can't claim to be able to get hold of any prahoc, but I can claim to have been exposed to a serene culture, with an amazing and, frankly, dark past. I have mixed memories of land mine museums, electric bicycles, and the most friendly population I've ever encountered on my travels. Recovering from a pretty grim past I found the Cambodian people really welcoming. What to see? 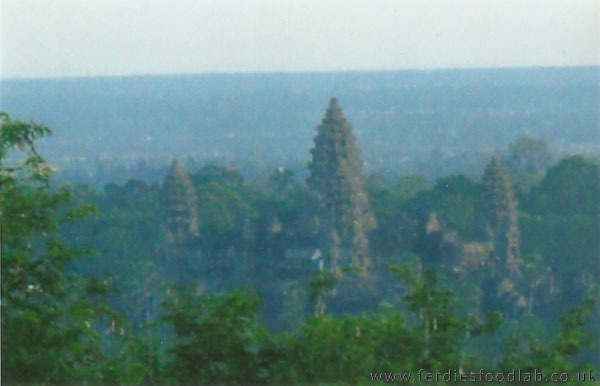 Jungle, elephants, amazing stonework sculpture and temples. 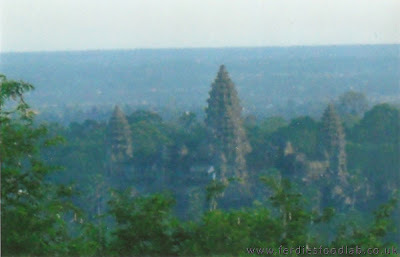 Angkor Wat popping out of the jungle - although I didn't know it at the time, this was to be one of the happiest holidays of my life! Now that's and explosion of flavours, sharp and light! Personally, I don't mind a few chilli seeds in my salad. If you're not of that persuasion, cut the stalk end of the chilli off at it's widest point, roll it between your index finger and thumb to release the seeds, then slice it into rings. Coarsely chop the peanuts with a knife or with a couple of pulses of your blender. Do not powder them! They contribute a great texture and flavour, if there are quarter peanut-sized lumps in there that's great!! The coriander is fine torn by hand, stalks and all!! I have to be honest - the food in Cambodia was a pretty hit and miss thing! This one sticks in my memory, I tried to get the recipe from the chef, a little old Cambodian woman, but it was a hopeless task since we had no common language (except food) whatsoever. I had to do a little research to get it right, but it's pretty faithful! It's mostly about the sauce, great depth! 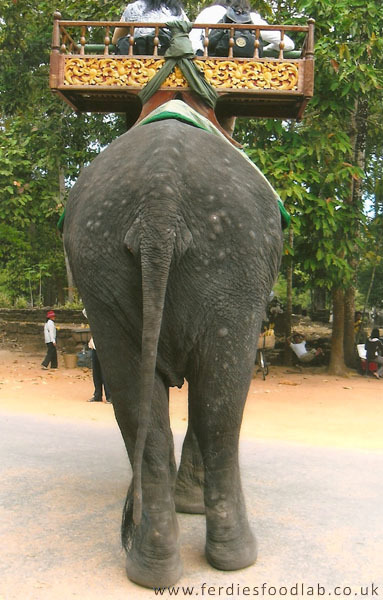 That's an elephant's arse!! How did that get in there? Simon Fernandez now runs ferdiesfoodlab in Aldgate East at Toynbee hall follow the his new blog here www.ferdiesfoodlab.co.uk check out what people are saying about it HERE!